Brian A. Kruse, Esq - Kirkland & Sommers, Co., L.P.A. Your problems are our problems. We offer real solutions in divorce and family law. Brian A. Kruse is originally from New Knoxville, Ohio. After graduating from high school Brian went onto Athens, Ohio where he graduated from Ohio University in 2001. While in college Brian was very active in Student Government and his fraternity, Phi Kappa Tau. From there Brian moved onto to Chicago, Illinois where he graduated from the DePaul College of Law in 2004. While in law school Brian completed a yearlong internship with the Chicago Housing Authority and worked as a law clerk for Pugh, Jones, Johnson and Quandt, P.C. (PJJQ). Upon graduation from law school Brian was hired as attorney by PJJQ, where he remained until 2007. 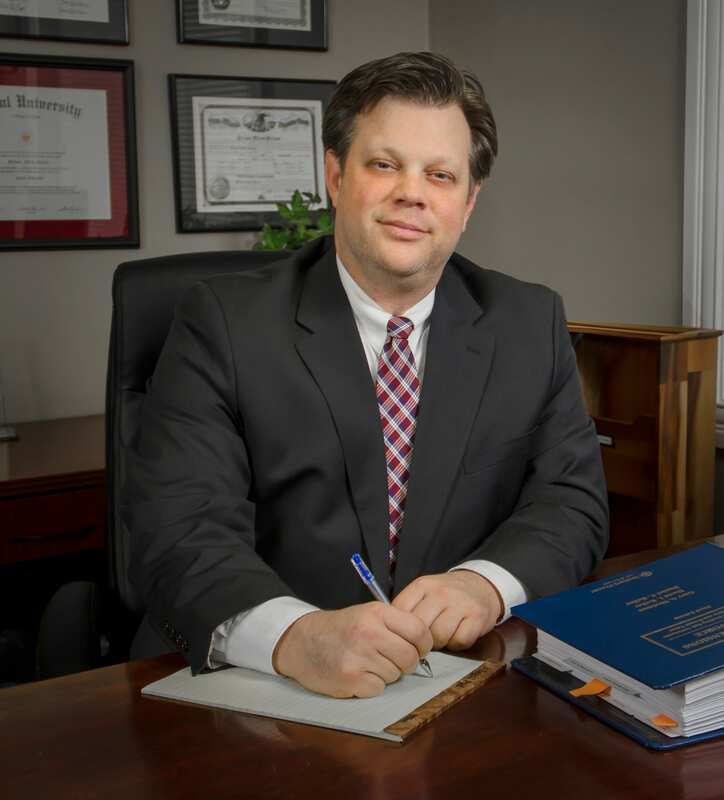 While at PJJQ, Brian was a part of various trial teams who successfully defended the Northwestern Medical Faculty Foundation in medical malpractice cases as well as the City of Chicago in high profile malicious prosecution cases. In 2007 Brian accepted a position at the law firm of Momkus McCluskey, LLC where he successfully defended various insurance companies as well as numerous other business entities. In 2010, upon returning to his home state of Ohio, Brian worked as a staff attorney for the Greene County Common Pleas Court. Then in 2011, Brian joined the Hammond Stier and Stadnicar where he successfully built a practice focused only on Domestic Relations/Juvenile/Family Law. In 2016, Brian then joined the Kirkland, Sommers & Gearhardt family. Brian currently resides in Beavercreek with his wife Kristen and their three children. Brian’s vast experience has allowed for him to excel in the Domestic Relations/Juvenile/Family Law arena.